Member offices are located in the Capitol Building, and the Binsfeld Office Building located at 201 Townsend Street, located at the corner of W. Allegan St. and Townsend St., across from the Lansing Post Office. 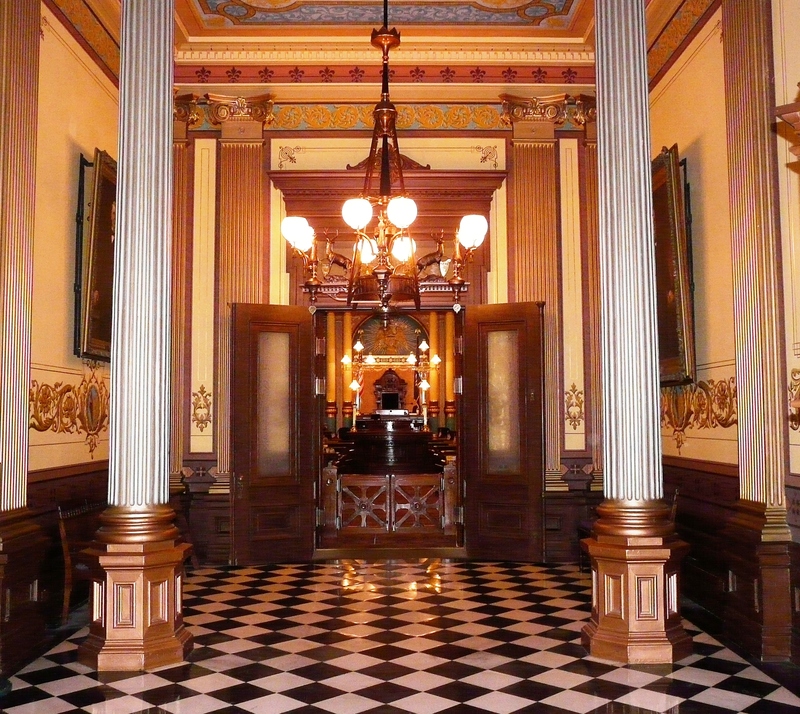 Step back into the Victorian era with a visit to Michigan’s award-winning Capitol Building. Designed by Elijah E. Myers, one of the foremost architects of public buildings during the Gilded Age (1865-1914), construction of the Capitol Building took six years and contains over nine acres of hand-painted surfaces. It was dedicated to the citizens of Michigan in 1879. Guided tours are offered from 9:00am – 4:00pm Monday through Friday. Guide tour times are subject to change daily based on staffing levels, visitors interested in a guided tour should call ahead to verify guided tour times. 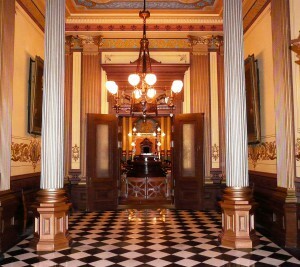 The Michigan State Capitol enjoys a well-deserved reputation as one of the nation’s most important historic buildings. It is also one of its most beautiful. Tours are offered from 9 a.m. to 4:00 p.m. Monday through Friday. The Capitol is closed Saturdays, Sundays, and on state and federal holidays.